An amendment to the Charities Act (NI) 2008, which clarifies the wording of the public benefit test, paves the way for a Register of charities to be established for Northern Ireland. In 2010 the Charity Commission for Northern Ireland (CCNI) decided not to proceed with establishing the register of charities after legal counsel identified that there was legal uncertainty with the wording of the public benefit test in the Charities Act (NI) 2008. Agreement had been reached early in 2012 to make an amendment to Section 3 of the Act which is included in the Charities Bill (NI) 2012 that has now passed consideration stage in the Northern Ireland Assembly and is waiting royal assent. The new wording on public benefit is the same as that found in charity legislation in England and Wales, which places the principal emphasis on the public benefit requirement under charitable purpose as opposed to including a prescribed charity test in legislation. The amendment does not change either the definition of charitable purpose or the requirement that all charities must provide public benefit in Northern Ireland or elsewhere. This is very positive as the introduction of the presumption of public benefit for certain types of charity was something which was being considered at one stage during this process. Once royal assent has been given, CCNI will then be in a position to issue draft guidance for consultation, hopefully in early spring. 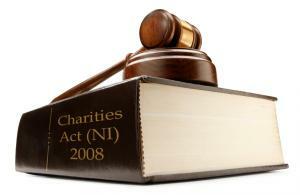 When completely resolved, the register of charities can then be established, which is likely to be in September. For more detailed information on charity law reform in Northern Ireland, please see NICVA’s dedicated charity law reform webpage.